I love me a sale and even more so when the sales are good! 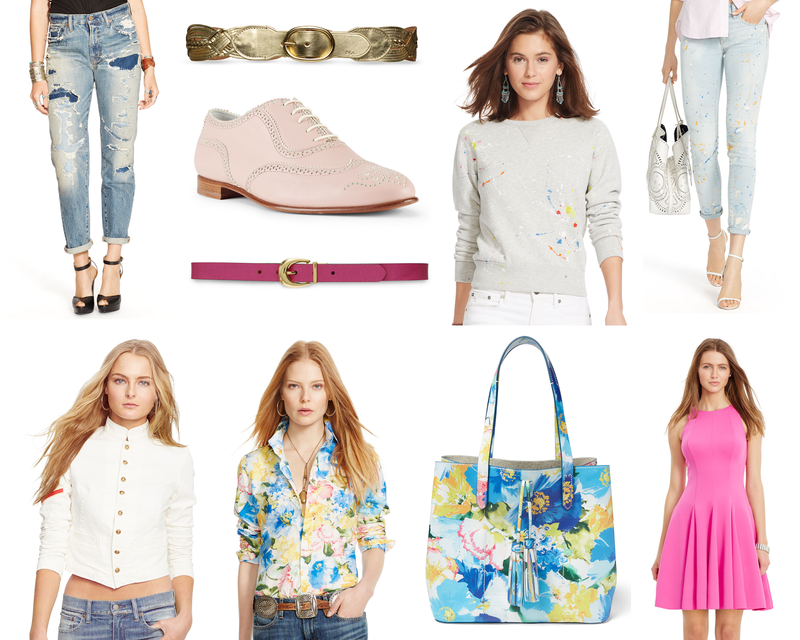 My favourite sales are always the spring/summer sales thanks to the lighter and brighter colours and simply because I prefer spring/summer style and trends in general. Recently, I found a website collating all the latest and greatest sales you could wish for in one place. No, really! This website is LoveTheSales.com and with brands like Boohoo to Dolce & Gabbana you can shop high street to high end in just few clicks. There are so many amazing sales on there but one that caught my eye more than others is the Ralph Lauren sale. I've always admired Ralph Lauren's clothing range but I'm yet to delve into a Ralph Lauren purchase. I'd love one of their infamous shirts or one of their gorgeous bags first! From their current sale I'm adoring the blue, yellow and pink floral print they have on pretty much everything from shoes to shirts. I'm particularly loving this shirt and bag from the collection. They're both so sophisticated on top of being colourful and fun which is right up my street style. I'm also really lusting over some new and fun denim like these paint splat jeans! They'd look great with the sweater next to it for a "I just got out of the studio after 10 hours of painting and I still look fabulous" look! Haha! I'd be calling out to my inner artist again! But in all honesty though, of all the sales I'm really lusting the Ralph Lauren one the most. I can't wait to get a little fashion spending money so I can spend it on their sale and pop my Ralph Lauren cherry. Have you ever been on LoveThe Sales.com? Also, what's your favourite item from my picks above? What would you put in your shopping basket?